Francis Cotterell Hodgson was born at Lambeth, the son of John Hodgson, QC, a Bencher of Lincoln's Inn, by his third marriage. John was the first cousin of the Reverend Francis Hodgson, friend of Byron, later Provost of Eton and Perpetual Curate of the new church at Edensor in Derbyshire to which position he was appointed by Queen Victoria. F C Hodgson went to Eton as a King's Scholar in 1851, remaining until 1856. There he won the Newcastle Medal (as runner up in 1855) and was Newcastle Scholar in 1856. In both those years he was also the Tomline Mathematical prize winner. Going up to King's College, Cambridge he became Pitt scholar in 1858, was equal as Chancellor's medallist in 1860 and won the le Bas prize in 1862. He became a Senior Fellow of Kings. He took posts in the Education Office in Whitehall in 1863 until 1897, becoming Assistant Secretary, which post he held after retirement. 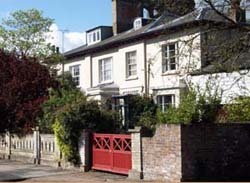 He came to Twickenham in 1862, in the company of his mother and three sisters and in about 1869 moved to live at Abbotsford Villa in Pope's Avenue where he remained for the rest of his life. He never married. In Twickenham, Hodgson joined the now defunct Literary and Scientific Society, reading papers to its members. Some of these papers were published in contemporary journals and the collection was published in 1913 under the title Thames Side in the Past. The book was dedicated to his friend Dr John Rudd Leeson, President of the Society for more than twenty years. Later, Dr Leeson was Charter Mayor of Twickenham in 1926. Hodgson wrote at length about Alexander Pope, noting in his preface that Twickenham was: "…the place where a very powerful and formidable literary despot held his court in the eighteenth century." He also wrote a two volume history of Venice. He was, possibly, descended from Henry Vaughan the Silurist through his paternal great-grandmother, Elizabeth Vaughan, daughter of the Rev Henry Vaughan (1687-1762), vicar of Leominster Priory for 24 years until his death. 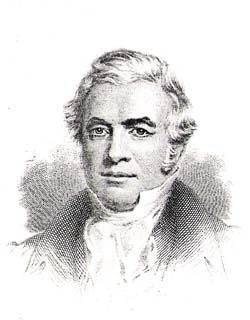 Another Henry Vaughan (1766-1844), the second of seven sons of a Leicester doctor was a distant cousin who also became a doctor and later President of the Royal College of Physicians and Physician-in-Ordinary to four monarchs, being made baronet by the second, George IV. He is better known as Sir Henry Halford, having changed his name in 1809 on inheriting a large estate from Lady Denbigh, widow of Sir Charles Halford, a cousin of his mother. Hodgson died on 23 September 1919 and there is a memorial to him in Holy Trinity Church on Twickenham Green, where he had been both a churchwarden and a governor of Archdeacon Cambridge's School next door. His funeral took place in this church and there is a copy of the tribute to his life in the Local Studies Library of the London Borough of Richmond upon Thames. In the church the choir stalls are dedicated to his sister Frances Elizabeth who had lived with him until she died in 1891.